Gaston heads LC Venture’s office in Beijing and was responsible for the acquisition of BeGo in 2014. Born and raised in Malaysia, he has studied, lived and worked in the UK for over a decade. He started his first company in his early 20’s, which was backed by leading UK venture capital firm through its EALP £8 million funds. Gaston is both pragmatic and passion-driven. He possesses the skill to keep the flame of the business’ vision ablaze, both internally and when presenting the company to the general public. He has a strong track record in building business relationships and strategic partnerships that bring added value to different stakeholders. In 2010, Gaston received recognition from UnLtd (the world’s largest Social Enterprise Network) as the United Kingdom Higher Education Champion of Change for Social Entrepreneurship. He later received theEnterprise in Action Award from Coventry University in recognition for his contribution for helping the University to achieved the Entrepreneurial University of the Year in the Times Higher Education Awards in 2011. In 2014, under his leadership, LC Venture acquired BeGo, an education and lifestyle service company. 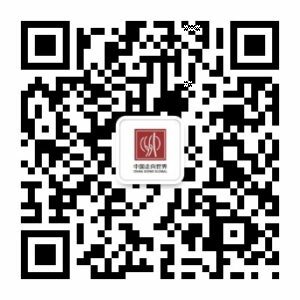 During his tenure, the company has grown to over 15 cities in China, covering tier 2 and 3 cities and serving over 100 Chinese families with a combined net worth of RMB 1 billion. Gaston was nominated for the Entrepreneur of The Year award in 2014 by the British Chamber of Commerce in China and Studying Abroad Magazine featured Gaston as one of the top 50people of the year for shaping the education landscape in China and his contribution to UK-China friendship. 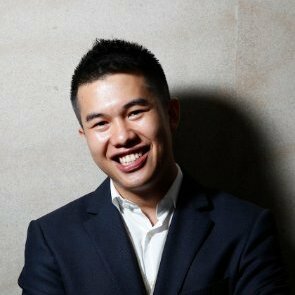 In 2017, having received the clear majority of votes, Gaston was elected to the ‘at large’ positions on the Executive Committee of the British Chamber of Commerce in China, making him the youngest non-British committee member in the chamber’s history. He has helped the Chamber to established key relationships with the Chinese Government including leading the Chamber to sign two MoUs during President Xi’s Belt and Road Forum for International Cooperation. Gaston was nominated for the Entrepreneur of The Year award in 2014 by the British Chamber of Commerce in China and Studying Abroad Magazine featured Gaston as one of the top 50 people of the year for shaping the education landscape in China and his contribution to UK-China friendship. Gaston also sits on the advisory boards of a number of international companies and works closely with the UK-Sino business community. In 2017, supported by Her Majesty’s Treasury, LC Venture and Jardine Lloyd Thompson (JLT) Group, one of the world’s leading providers of risk management and insurance, work together to deliver the USD 10 billion Melaka Gateway Project, representing the new generation of UK-based service businesses playing an active role in Belt and Road. In recognition of his outstanding leadership, Gaston was appointed as the President and Member of Managing Board at China Going GlobalForum. Gaston is a regular China-UK spokesperson on Chinese TV and is fluent in English, Malay, Cantonese and Mandarin.